Anchit Doegar, who happily designates himself as Chief Monkey, is the brain behind the adventurous and enthusiastic experience providing venture - SpinMonkey. 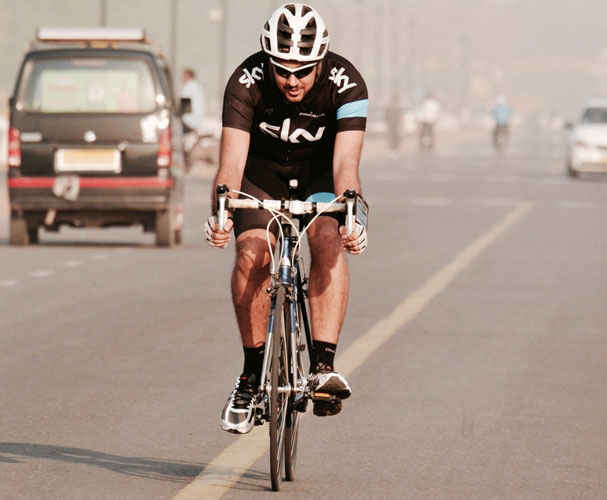 Here he talks about his love for the city and how his passion for cycling and unearthing unexplored spaces gave him the courage to quit the clichéd job and follow his dreams. You were in a corporate job before you started SpinMonkey. What was the motivation that led to this turning point? Yes I was working as a banker before I took the decision of setting up SpinMonkey. This turning point came when I went to my brother’s place in Singapore for 3 weeks and explored the entire city on cycle and loved every minute of it! My belief is a cycle can take you to the most unexplored places in town. 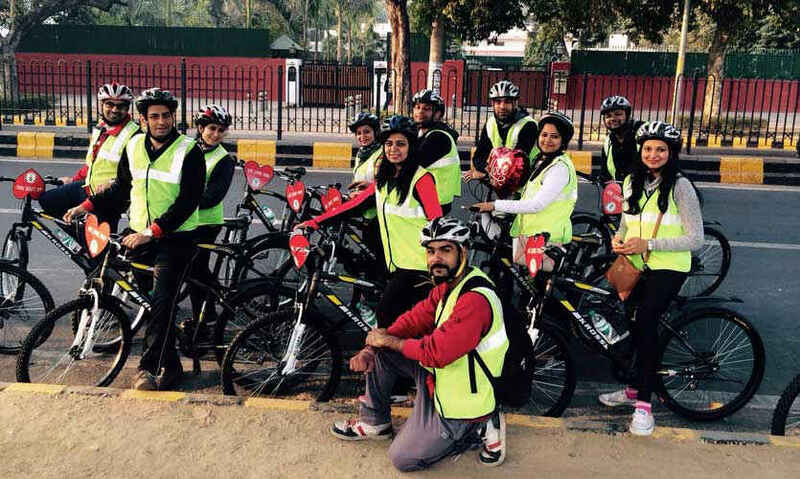 There were so many places in Delhi I didn’t know about before I started with my passion for cycling. 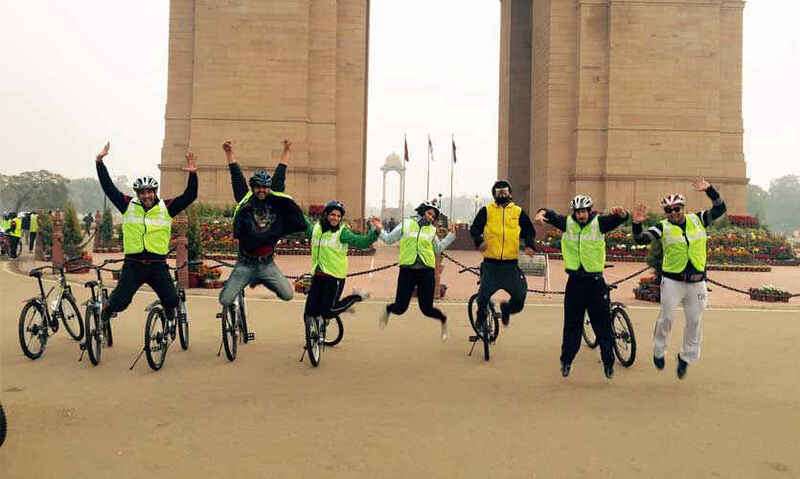 Being an avid cyclist, it’s definitely the best way to explore your city and should make people explore Delhi like never before. SpinMonkey is a curious name. How did you come by it? That was a real tough job to decide. We wanted to keep the name related to cycling but were not being able to come up with something catchy enough. So 'Spin' because it’s related to the spinning of the cycle wheel and 'Monkey' because that’s one super active animal and is always ready to take a spin around. We can always correlate our tours with monkeying around in town. What were the challenges that marked your journey of setting up in Delhi? The biggest challenge we faced was the Delhi traffic itself, and so we decided to keep our tours during early mornings and ending them before office hours. Next was that people somehow hesitate cycling around as it’s not featured as a very trendy sport in Delhi. However, many of the locals have been very supportive and encouraged us to go ahead with the plan. How many people are a part of this initiative? And how do you go about choosing your guides and operators. SpinMonkey has a team of 2 people followed by our various guides. We have been very specific about our guides and usually approach locals for it who have great knowledge and experience about the place. While hiring our guides / tour leaders we kept many things in mind such as client safety, background checks, proper knowledge about the place and good vocal skills. What makes your initiative of exploring the city on a bike different from others who offer a similar experience? If you talk about competitors then the most important differentiator we have are better cycles. They use very basic cycles and we are using German and French made cycles as we understand the importance of the client’s comfort and safety. Another differentiator we have is a local guide, born and brought up in that specific area. SpinMonkey believes in competition and we are really working hard to give our customers a better experience. Apart from Central & Old Delhi, do tell us about some unexplored spaces in the city that can be explored on bike? What according to you makes Delhi ‘So Delhi’? I think the different experiences you can have in Delhi at different hours of the day makes Delhi the best city ever. I literally don’t have time to stay idle when I am in town. From the lovely Sunday brunches & rooftop cafes serving heavenly food to the shopping arcades and peaceful places, all this makes Delhi what it is! Do share some interesting anecdotes from your city tour experiences? We love it when children smile and wave at us while we cross their homes during early morning in Old Delhi. We ride in the narrow lanes in front of their houses and they are always so excited to greet us every morning. Also when we stop to start explaining to our clients about the tour, many locals come and stand with us and they start listening to whatever the guide is explaining, and though we know that they may not necessarily understand much, we just allow them to be a part of it and enjoy it. I can’t explain the love I have for the people there! Any special message for our readers and riders? Explore your city; there’s so much to see and experience in Delhi and it’s only once you make the effort of stepping out, do you get to witness the capital city in all its glory! We genuinely believe cycling is the best way to explore the places which you can never imagine to go in your cars. Allow us to make your mornings happier and give you an amazing experience on our cycles. 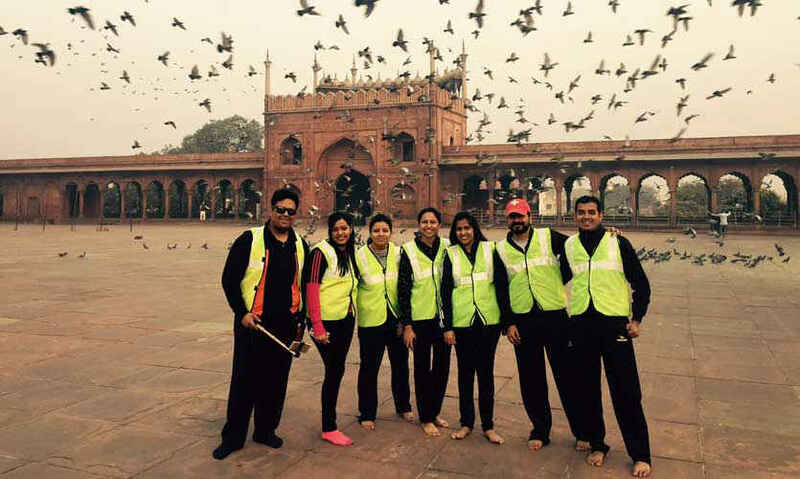 The SpinMonkeys truly make exploring and experiencing our Dilli so much fun! We're ready to take a spin, are you?